Menu path: Data Management > Project. This page allows you to manage project data. Step 1: Input search criteria. Step 2: Click on the Search button to get results. This video shows how to create new projects in TSR. Step 1: Click on “Add New Project”. Step 2: Input the necessary information then click the OK button. Important: To use the project, remember to add UserGroups and Activities to the project. 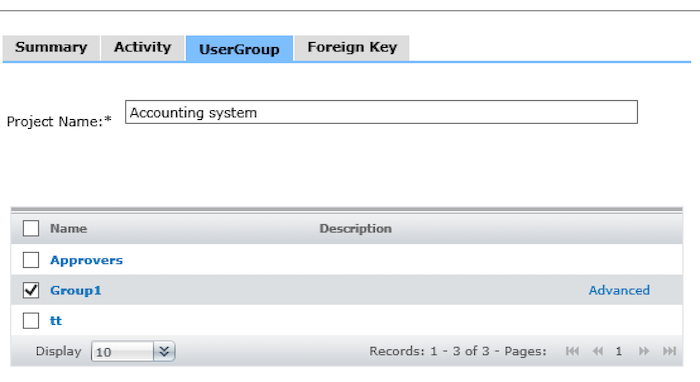 Step 3: Add User Group to Project by selecting the “UserGroup” tab. 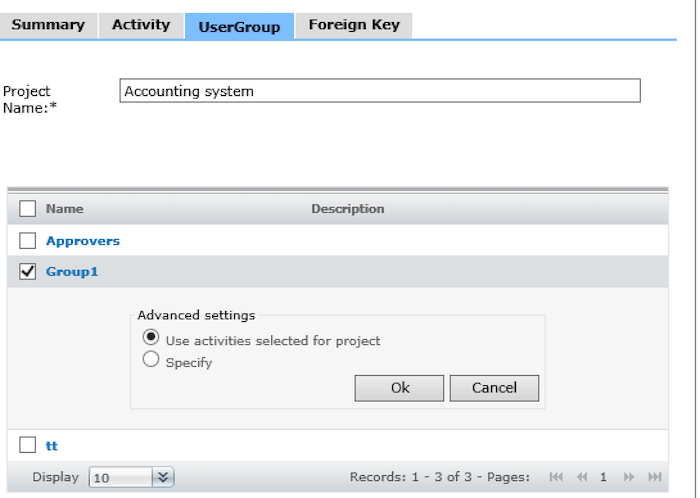 Step 3.1: Select user groups from the list then click the OK button to add them to the current Project. You can find the user group you need by clicking “Search user group”. Step 3.2: Click on the OK button. 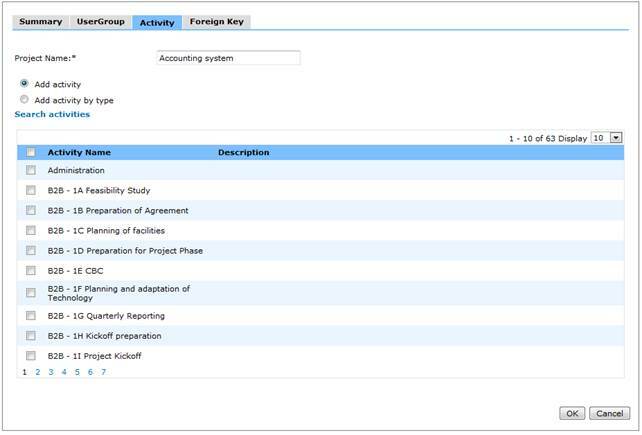 Step 4: Add an activity to the project by selecting the “Activity” tab. You can find the activity you need by clicking “Search Activities”. Step 4.1: Select activities from the list and click the OK button. Step 1: Click on the project name that you wish to update. Step 2: Input necessary information. Step 3: Click the OK button to update or Cancel button to return. Step 1: Click on “Delete” to delete the corresponding Project. Step 2: A confirmation message will be displayed: Click “OK” button to delete project or “Cancel” to return. Step 1: Click on the User Group tab on the project. Step 2: Then click the ‘Advanced’ button next to the user group that you want to specify activities for. 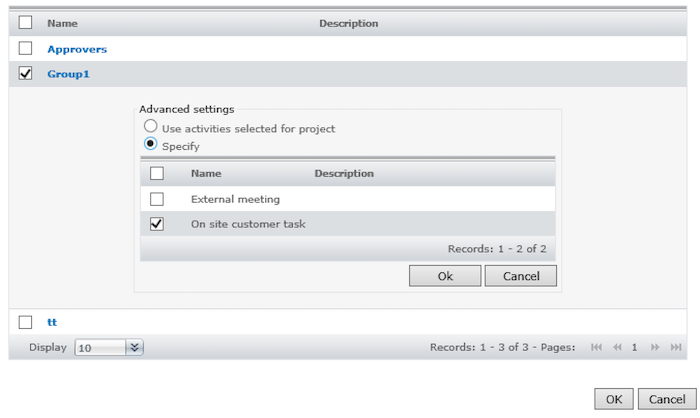 Step 3: Click ‘Specify’ and select the subset of activities that you want for this user group. Step 4: Click OK below the activities, and then click OK for the project. That’s it. 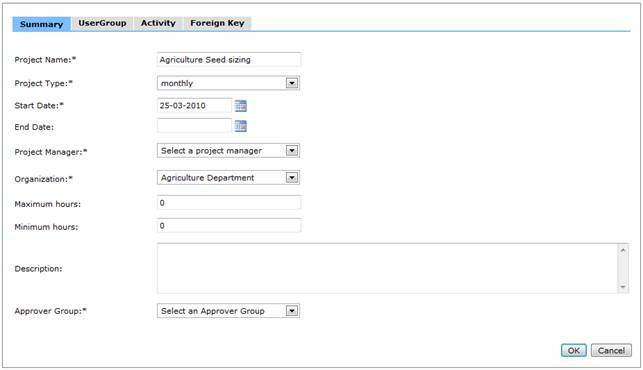 With TSR DataBridge, you can import, export and edit your projects in bulk. This also includes user group specific activities.